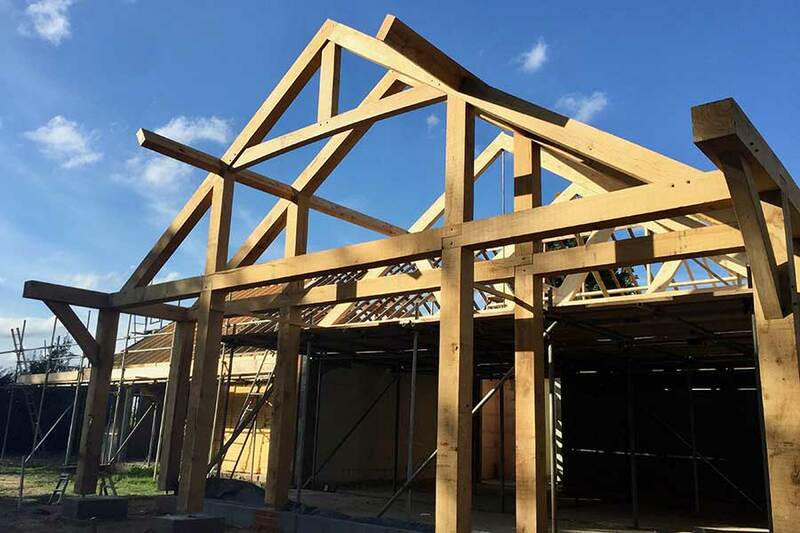 We like to work with oak, and this impressive oak framed veranda and gable frame is a good example of what can be achieved. 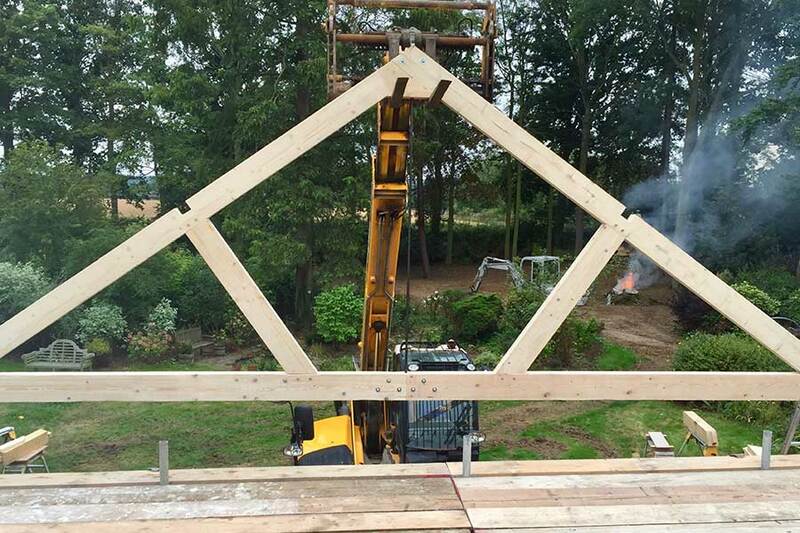 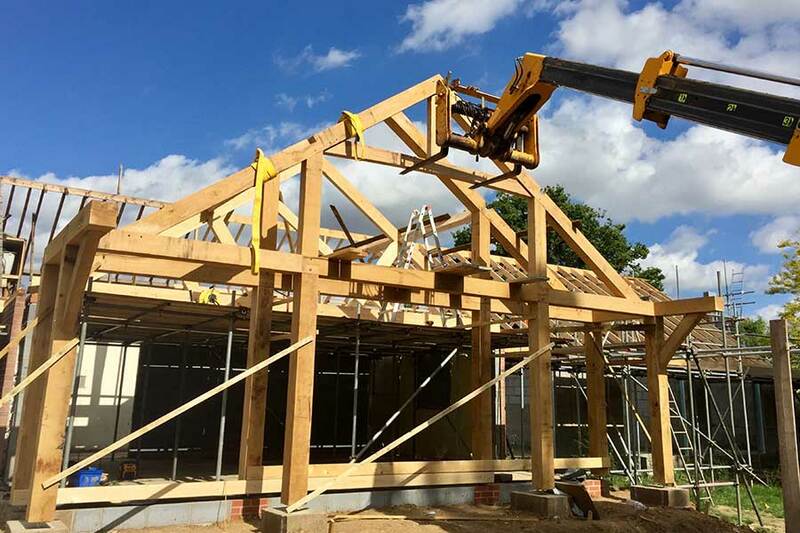 Completely pre fabricated in our suffolk workshop using traditional joints and methods, the frame was then delivered to site in kit form ready for us to assemble. 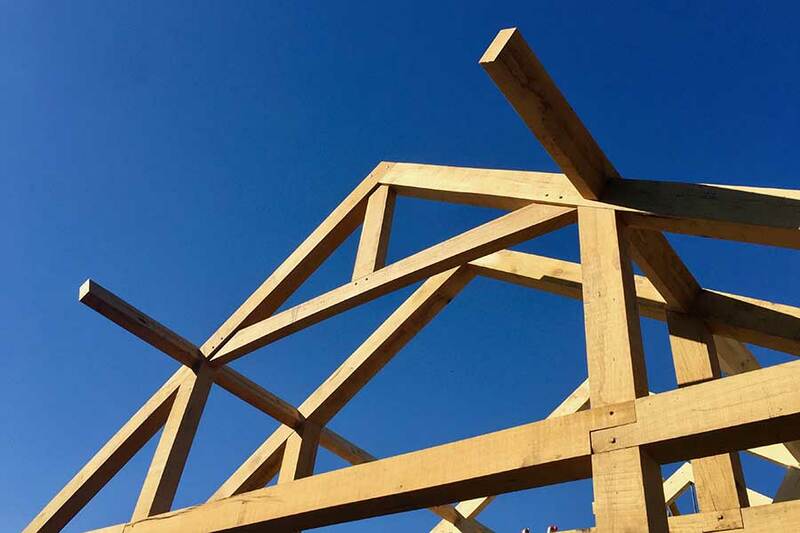 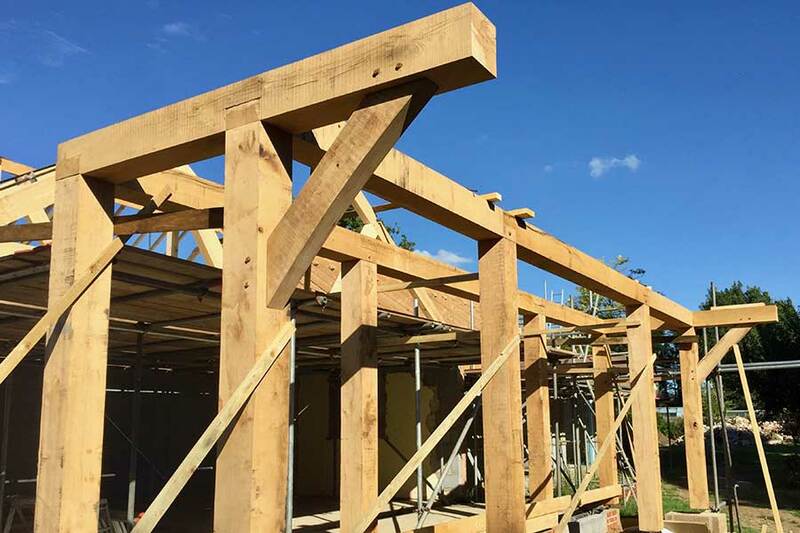 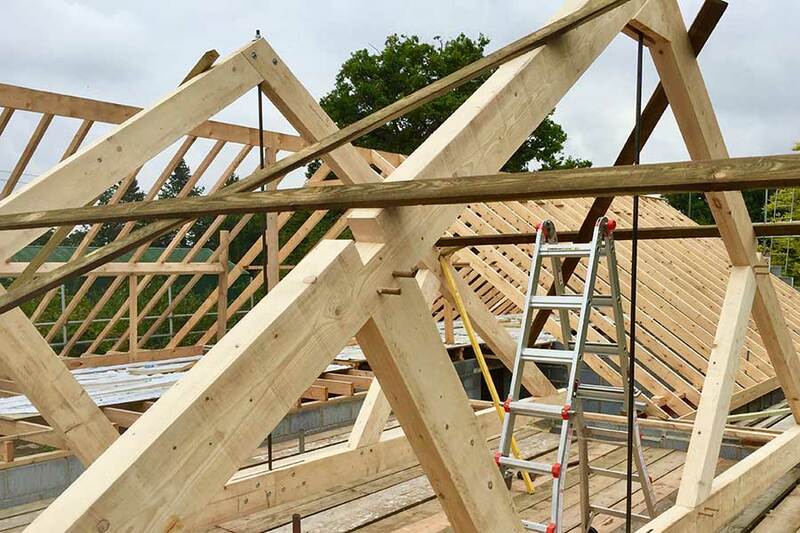 The frame is complemented by a vaulted roof made from softwood feature trusses and purlins.